24" luxury white kitten tail with coffee tip and detachable white ribbon. 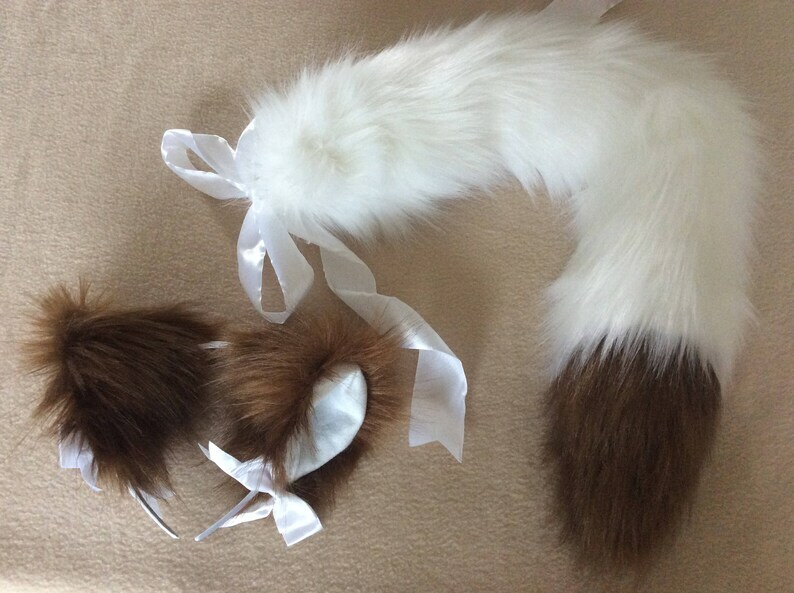 Luxury Coffee 5 Inch Ears with white inners and bows , on a white headband. 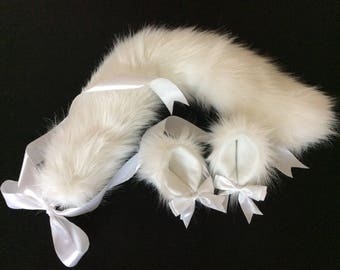 3 Inch Ears can also be made. Matching Cuffs are also available. Other sizes and colours available, please ask. Looped plugs are also available...please ask. Finally got my item. With the weather and customs, ugg, but not sellers fault. Package arrived in perfect condition and the set is absolutely lovely! Well worth the wait! Thank you also for the treats! !